Mayor Vaughn D. Spencer and City Council will explore a more-lucrative lease or the possible sale of the water system to help Reading avoid its looming fiscal cliff. Those two options are among several that could help close a $15 million budget gap that will open each year beginning in 2015. In a three-page memo given to council at an executive session Monday, Spencer requested both sides jointly begin what he called a comprehensive and objective assessment of all the city’s options. “These are things we can’t do without the support of council; they have to be part of it,” Spencer said later. Should some city entity buy the empty northwest Reading parcel where the skeleton of the half-built Berkshire Bottling Works has stood rusting since 2007? At 50 acres, it’s the last big industrial site left in the city, and it’s up for foreclosure, city sources said Monday. And City Council, which discussed the site in executive session last week, discussed the possibilities again on Monday in another executive session, this time with officials of the Reading Area Water Authority. Mayor Vaughn D. Spencer announced his plan Wednesday to form a community development corporation dedicated solely to the city. He said that in the past Reading has not taken a unified approach to attracting development. 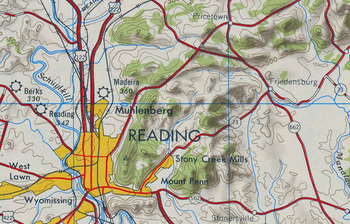 Spencer added that efforts to develop Reading historically have been carried out by state or county development authorities, where the city isn’t always the top priority. He said recent efforts generated by the city, like the Main Street designation and the purchase of properties in the 400 block of Penn Street, will soon become the purview of the Reading Community Development Corp.
City Controller Christian Zale on Monday pressed his case, again, to City Council: Unless the city makes some drastic changes, it’s facing a $35 million cumulative deficit by 2017. However, those changes can’t include bigger property tax hikes; Zale said his projection already assumes the city raises the property tax by 5 percent in each of the next four years. But he said the tax increases cut the deficit by only $10 million. Without them, the deficit rises to $45 million. With little advance notice to customers, the Reading Area Water Authority’s regular water and sewer bills mailed last week contained an extra $95 charge for city trash and recycling, and a demand that the charge be paid by month’s end lest penalties be imposed. The move left Mayor Vaughn D. Spencer’s administration and the authority doing damage control, answering complaints by people who say they can’t pay the unexpected bill on time. And it fueled City Council’s anger that Spencer shut it out of the process, then mishandled the planning. Editor’s note: We like this idea. It takes these bills and makes them part of the average person’s normal monthly expenses. I bet people will be more willing to pay them on a monthly basis rather than quarterly. City trash and recycling customers will find their bills easier to pay in June. They won’t be any cheaper, but they’ll be monthly instead of quarterly; they’ll be part of the water and sewer bills; and there will be more ways to pay them. “The benefit to city customers is that it’s more affordable, and because it’s consistent it will be easier to budget for,” Matthew Bembenick, director of administrative services, said at a Wednesday event announcing the transfer of billing to the Reading Area Water Authority. But the long-planned deal got delayed, and the authority’s first bills will come out in May, when the city needs to get caught up for January through April. Reading is on course to amass a $35 million cumulative deficit by the end of 2017 even if it raises property taxes by 5 percent a year, controller Christian Zale told City Council on Monday. The budget likely will be $1 million short this year and $1.4 million short in 2014, but Zale said the city’s own fiscal cliff comes in 2015, when it expects a $10.2 million deficit. That will be repeated in 2016 with a $10.9 million deficit, and again in 2017 with an $11.4 million deficit, he said. “Now is the time to address the 2015 cliff, (and) also ensure future decisions do not exacerbate these projected deficits,” he said. 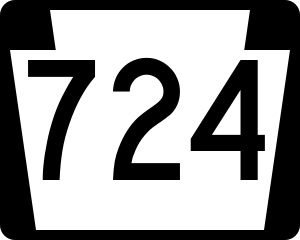 Thousands of daily commuters who were used to traveling on Route 724 in Cumru Township are getting an early Christmas present. The 1.5-mile stretch between Route 10 and Interstate 176 is set to reopen Friday afternoon. It has been closed since August so the Reading Area Water Authority could install a water main. “The paving’s pretty much done and everything’s been tested,” said Alan Wong, construction manager. Crews are adding finishing touches, like line painting, and PennDOT needs to inspect the stretch, he said. Another layer of asphalt will be added in spring, but that won’t delay the reopening. When the roadblocks went up on Route 724, Melanie Degler’s commute to her job in Douglassville instantly became 10 minutes longer. 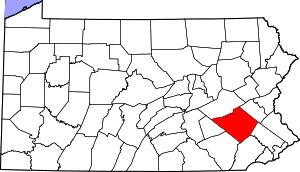 The bit of the highway she usually takes to get on Interstate 176 and then Route 422 from her home in Cumru Township’s Flying Hills development was closed so the Reading Area Water Authority could install a 16-inch main. Now, she has to go south on Route 10 only to come back north on the interstate. “We don’t have a lot of streets here to take as alternatives, so you have to go out of your way to go around it,” Degler said. City Council on Monday agreed to hire 12 probationary police officers to get the police force, gutted by retirements, up to its authorized strength of 168 officers. The new probationers, who entered the Reading Police Academy earlier in the day, are in addition to about two-dozen new officers who just completed or are still in field training. But even those won’t be enough to keep the force at full strength, with more retirements expected this year, much less get the force back to the more than 200 officers it had several years ago. Meanwhile, council awarded a design contract as the city gets started on replacing the first equipment at the wastewater treatment plant on Fritz’s Island, required by state and federal environmental agencies in 2004 as part of a court-ordered consent decree.